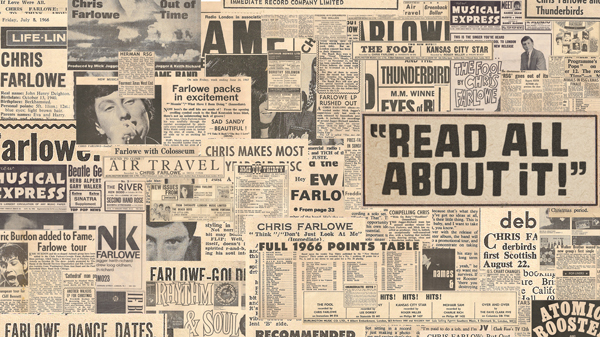 We recently got our hands on a ton of newspaper and magazine clippings covering part of Chris’ musical career. From the early 60’s when he started out with the Thunderbirds, right through to 1978 when he and Dave Greenslade (ex Thunderbirds and Colosseum) recorded the theme tune to TV drama ‘Gangsters’! What a plethora of material for us to research! We’ll be posting a few clippings on the blog over the next few weeks, so do check back.